By choosing the crisp and vibrant setting of AIR Studios’ Studio 1, smaller and more controllable — capable of accommodating up to 45 musicians across its 140m² floating floor (with a specially designed sliding door system that allows it to be divided into acoustically separated areas) — compared to the opulence of AIR Studios’ Lyndurst Hall — helpfully accommodating a full symphony orchestra with choir as one of the largest recording rooms in the world — where Spitfire Audio has hitherto recorded an abundance of award-winning orchestral libraries in its ongoing mission to inspire a generation of music makers, this time the British music technology company is offering its fellow composers a brass library with depth, detail, and an awesome punch to boot. Better still, SPITFIRE STUDIO BRASS brings the widest emotional range of performance to bear on composers’ compositions, courtesy of an abundance of articulations. As such, users can choose solo, duet, or section performances; realise the detail of their music with swells, flutter tongues, and staccatissmino stabs, as well as traditional articulations; and choose from microphones placed at close proximity to the player, through to outriggers and ambients at the edges of AIR Studios’ Studio 1 itself. It is even possible to mix and match for total tonal control like no other. 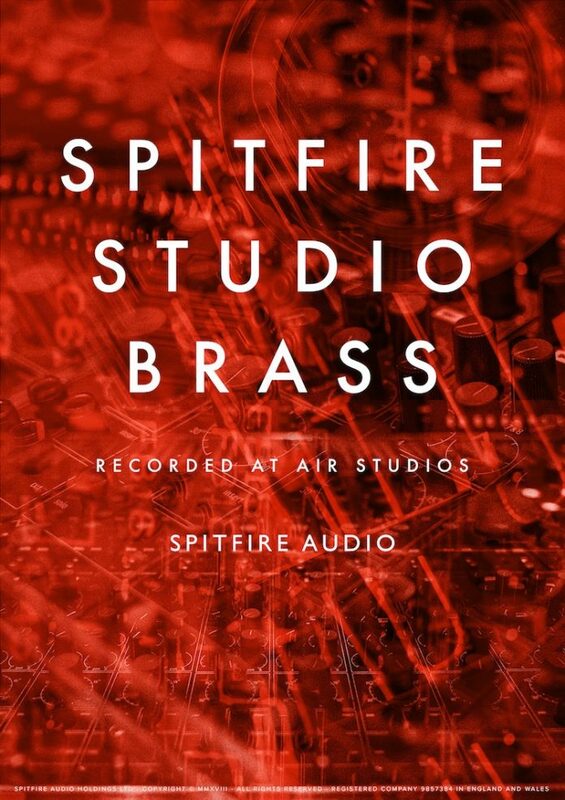 Two years in the making, SPITFIRE STUDIO BRASS brings all the treasured Spitfire Audio hallmarks — A-list London performers playing the best instruments through an unparalleled signal path and recorded to tape (by GRAMMY® Award-winning engineer Simon Rhodes, in this case) — to bear on a room perfectly suited to capturing the punchy dynamic range of brass. Again — as with its existing symphonic and chamber orchestral ranges, Spitfire Audio applied a ‘no stone left unturned’ approach to creating a veritable encyclopaedia of articulations, dynamic layers, and round-robins for seamless, nuanced realism. And, again — as with its existing symphonic and chamber orchestral ranges, Spitfire Audio’s second showing in its all-new studio orchestral range is available as both standard (SPITFIRE STUDIO BRASS) and extended (SPITFIRE STUDIO BRASS PROFESSIONAL) editions. SPITFIRE STUDIO BRASS transports its users straight to the engine room for immediate musical gratification with eight instruments, including four soloists, plus two player sections — namely, Horn Solo 1, Horns a4, Tenor Trombones a2, Bass Trombones a2, Trumpet Solo, Trumpets a2, Tuba, and Cimbasso — all recorded through a Schoeps Decca Tree (stereo microphone setup with three omnidirectional microphones arranged in a triangle, often used to record an ensemble or orchestra — originally introduced by legendary London-based label Decca Records, hence the name). Needless to say, SPITFIRE STUDIO BRASS is instantly usable and also immediately musical. Meanwhile, SPITFIRE STUDIO BRASS PROFESSIONAL permits its users to delve deeper by boosting the instrument count to 17, spanning from the soaring highs of a Piccolo Trumpet down to the volcanic tremors of a Contrabass Tuba (to also include: Horn Solo 1, Horn Solo 2, Horns a4, Trumpet Solo 1, Trumpet Solo 2, Trumpets a2, Bass Trumpet, Tenor Trombone Solo, Tenor Trombones a2, Bass Trombone Solo, Bass Trombones a2, Contrabass Trombone, Tuba, Cimbasso, and Euphonium). That’s 13 solo instruments, including two separate, solo trumpet players, plus two horn players! Perhaps unsurprisingly, extensive control of the sound is also available, thanks to the inclusion of two ready-to-go mixes, two close-mic arrangements, two Decca Tree setups, ambients, and outriggers. 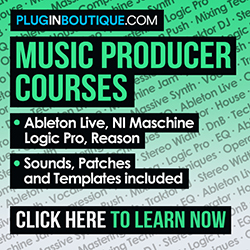 On top of that, users can also access and personalise their own mix of Simon Rhodes’ microphone arsenal — from pin-sharp to super-wide, picked up by the best on offer from Neumann, Schoeps, SE Electronics, and Sennheiser. Such peerless detail and control also extends to the articulations, which not only fulfil all the traditional requirements but also include extended techniques and mutes, stomach-punching fortississimo (fff), and three variants of shorts: staccatissimo, tenuto, and marcato. SPITFIRE STUDIO BRASS and SPITFIRE STUDIO BRASS PROFESSIONAL need Native Instruments’ free KONTAKT PLAYER (5.6.8 or higher) — included in the purchase — to run as a fully NKS (NATIVE KONTROL STANDARD®) supporting plug-in instrument for Mac (OS X 10.10 or later) or Windows (7, 8, or 10 — latest Service Pack, 32/64-bit), while Spitfire Audio’s free Download Manager application allows anyone to buy now and download anytime.